Our High Performance Regulator for High Volume and Commercial Dispense is designed to provide maximum flow for simultaneous dispensing through multiple taps while resisting freeze up. The polycarbonate bonnet is easy to adjust when changing kegs and CO2 tanks. The polycarbonate bonnet and brass body are corrosion resistant make the regulator highly durable in a variety of environments. 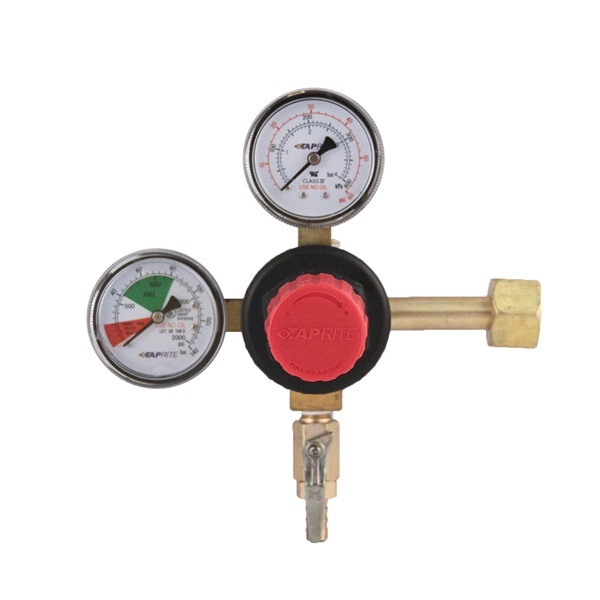 This 1 Pressure 1 Product Regulator has a CGA320 Inlet, 5/16″Barb Shutoff w/Check, and 60lb and 2000lb Gauges so you can see both your output pressure and how much CO2 is left in your tank.